Our Technology | GlyTech, Inc. 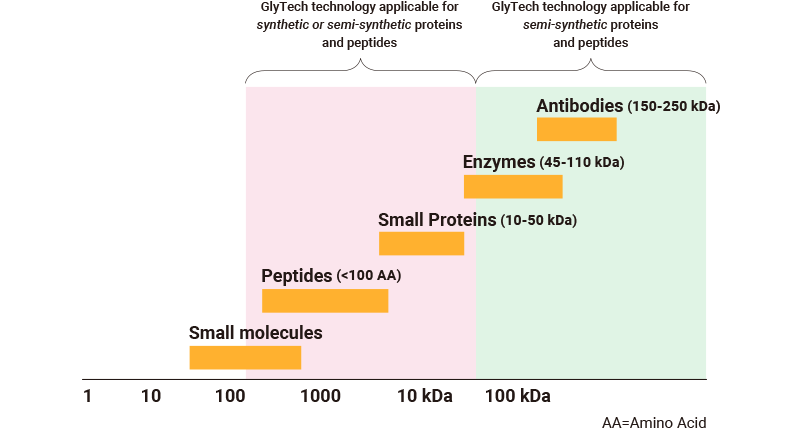 Unlike the cell culture systems traditionally used for the production of glycopeptide and glycoprotein therapeutics, the chemical synthesis methods that underpin GlyTech’s technology enable us to produce highly controllable, homogeneous glycan profiles. Based on collaborative research carried out with Professor Yasuhiro Kajihara of Osaka University, we have the unique ability to extract human N-glycans from an abundant natural source (chicken egg) on a large scale, and selectively attach them to a chosen peptide or protein at desired positions. 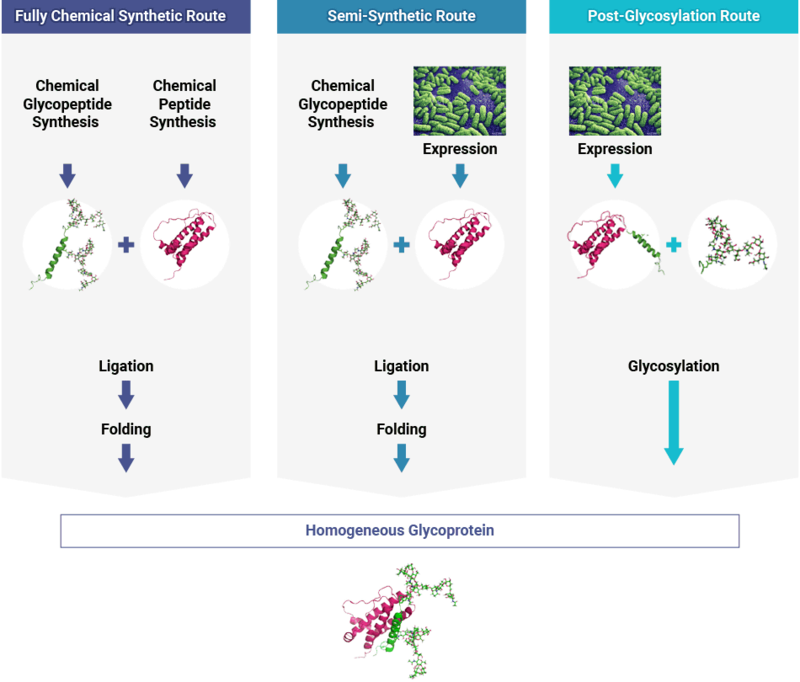 GlyTech is able to offer a seamless route from glycan production to glycopeptide and glycoprotein synthesis for your target compound or biopharmaceutical. Our wide-range chemoenzymatic process allows us to offer a library of over 50 highly purified and characterized human type N-linked glycan structures. 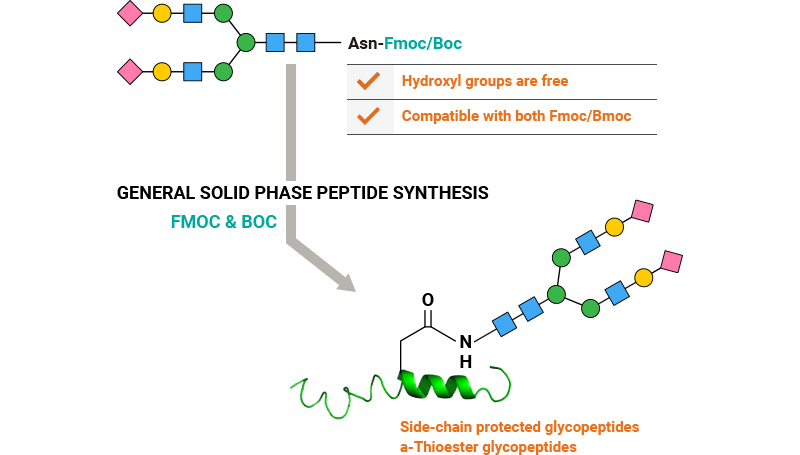 Our glycans are offered as Asn-Fmoc/Boc derivatives for easy use in peptide synthesis. Other reducing terminal modifications are available to suit your desired application. Our key glycoslyation technologies enable conjugation of glycans to peptides and proteins via Asn or Cys residues. Our flexible glycoprotein synthesis technology offers fully chemical synthetic, semi-synthetic and post-glycosylation routes to your glycosylated biopharmaceutical. 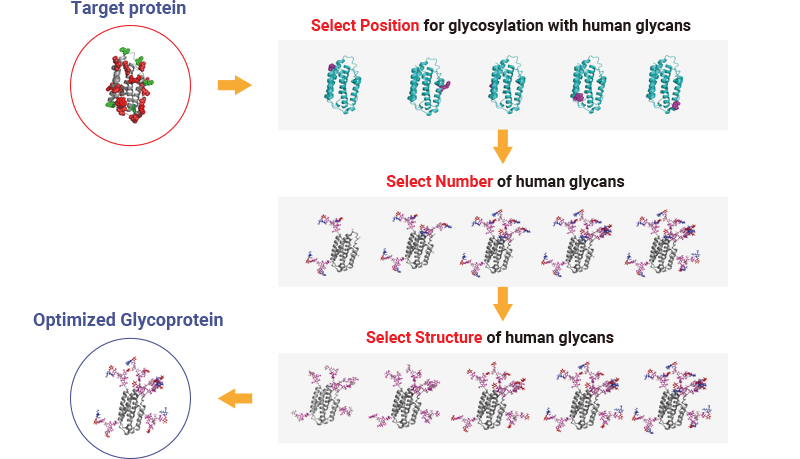 Enabling “biobetter” and novel glycoprotein drug discovery through rational compound design from glycosylation position to glycan structure to optimize drug properties and efficacy.